The Goldsmiths’ Company, the London Livery Company supporting the trade and craft of goldsmiths, silversmiths and jewellers, will maintain the gilding on the Cutty Sark’s ‘Gingerbread’ running from the ship’s 150th anniversary in 2019 to the celebration of the Company’s 700th anniversary year in 2027, with an initial grant of £25,000. 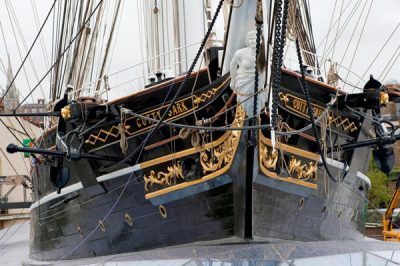 The Cutty Sark’s elaborately detailed exterior embellishment, more commonly known as ‘gingerbread’, is a key feature of the iconic British clipper built in 1869. ‘Gilding’ is a decorative technique for applying fine gold leaf or powder to solid surfaces such as wood, stone, or metal to give a thin coating of gold. A gilded object is also described as “gilt”. As part of its commitment to impact national life, the Company is committed to ensuring traditional goldsmithing techniques are preserved and passed on to future generations. 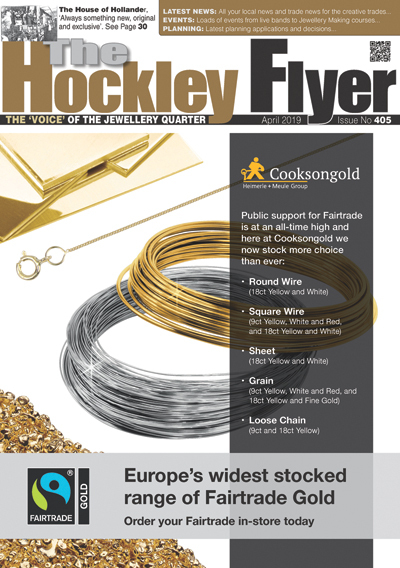 While technically not a ‘goldsmithing technique’, gilding is a traditional craft skill that is endangered in today’s economy. The Company sees a restored Gingerbread decoration as an opportunity to inspire visitors’ interest in gold leaf decoration specifically and the decorative arts more generally. Cutty Sark, along with the National Maritime Museum, the Queen’s House, and the Royal Observatory is part of Royal Museums Greenwich, which collectively welcomes over 2.5 million British and international visitors a year. Visitors to the Cutty Sark, enjoy the opportunity to learn about the unique history of the world’s last surviving tea clipper, which forms a key part of Britain’s distinguished maritime heritage. Launched in 1869 from Dumbarton, Cutty Sark visited most major ports around the world. She began in the lucrative tea trade and made eight successful journeys to China in pursuit of the precious cargo. She gained her enduring reputation for speed in the Australian wool trade from 1883, beating all rivals, and completing the voyage from Sydney to London in the record time of just 73 days. She was sold to Portuguese owners in 1895 and after surviving the First World War was acquired by Captain Wilfred Dowman, who brought her back to England where she was restored. After his death she was used as training ship on the Thames at Greenhithe until brought to her purpose-built dry-dock close to Greenwich Pier in 1954. After restoration she was opened there by the Queen in 1957 and has been one of London’s iconic tourist attractions ever since.